Urban Meyer is the Head Coach of the College Football Playoff National Champions, the Ohio State Football team. Since joining the Buckeyes in 2012, Meyer has continued to uphold his reputation as possibly the greatest college football coaches the sport has seen. In Meyer’s first season with the Buckeyes, he led Ohio State to their sixth undefeated season. 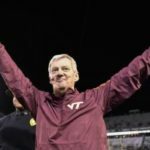 He was also a finalist for four additional national Coach of the Year Awards: the FWAA’s Eddie Robinson Award, the Liberty Mutual Coach of the Year, the Paul “Bear” Bryant and the Bobby Bowden Coach of the Year awards. In 2013, the team earned its second consecutive Big Ten Leaders Division title and an invite to the Discover Orange Bowl. After concluding the 2013 season, Ohio State was ranked third nationally in scoring and fifth nationally in rushing. 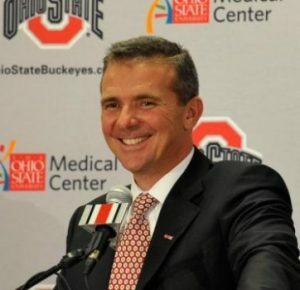 The following season, the Buckeyes defeated Oregon in the College Football Playoff and Meyer became the second coach in college football history to win a national championship at two different schools. As he entered his fourth season at Ohio State, his record with the Buckeyes was 38-3. Meyer released his first book, The New York Times bestseller Above the Line: Lessons in Leadership and Life From A Championship Season in Fall 2015. The book gives readers the wisdom and inspiration for taking control and turning setbacks into victories. 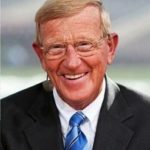 In the past, he served as the University of Florida Gators’ head football coach for six seasons. Meyer guided the Gators to the aforementioned pair of national championships, two Southeastern Conference Championships, three SEC Eastern Division crowns and six-straight January bowl games, including three BCS bowl games. His .813 winning percentage (65-15) is the second-best in school history and his .750 winning percentage (36-12) in SEC play is within the top five in league history among head coaches who spent five or more years in the conference. Meyer, who was named Sporting News and Sports Illustrated “Coach of the Decade” in December of 2009, was the first coach ever to win two BCS National Championships and he is one of only two coaches in the history of the SEC to win two outright National Titles. Prior to his tenure at Florida, Meyer coached two seasons for the Utah Utes where he earned multiple National Coach of the Year honors in 2004 after leading Utah to a perfect 12-0 season, the school’s first in 75 years. With its post-season bid to the Fiesta Bowl, Utah made history by becoming the first school from a non-Bowl Championship Series conference to earn a berth in a BCS Bowl. Meyer began his head coaching career at Bowling Green in 2001, where he led the Falcons to their highest national ranking in school history (No. 16 ESPN/USA Today and No. 20 Associated Press). Bowling Green spent five weeks in the national polls and finished third in the nation in scoring offense, averaging 40.8 points per game. Beyond his on-field accomplishments, Meyer has also championed efforts in community service. He spearheaded an effort to feed needy families during Thanksgiving, and initiated a mentor program for young at-risk males in the Gainesville community. A 13th-round pick in the Major League Baseball Amateur Draft in 1982, Meyer played two years in the Atlanta Braves’ organization. 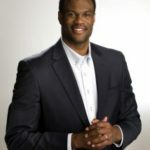 He played as a defensive back at the University of Cincinnati before earning his degree in psychology in 1986. 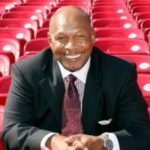 He went on to earn a master’s degree in sports administration from Ohio State in 1988.